The lawsuit arose from inaccurate news shared on social media during the 2016 presidential campaign. On March 11, 2016, Donald Trump held a Republican primary campaign rally in Chicago, Illinois. That evening, the Chicago Tribune posted a photograph on its Twitter account of a woman at the Trump rally giving a Nazi salute with her right hand raised straight up. Within minutes of this tweet, Woods tweeted the same two photographs along with the comment “So-called #Trump ‘Nazi’ is a #BernieSanders agitator/operative?” Woods’s Twitter account has more than 350,000 followers and the post was re-tweeted more than 5,000 times. Later that day, various newspapers correctly identified the woman who gave the salute at the Trump rally as Brigitt Peterson of Yorkville, Illinois, not Boulger. Woods later tweeted a clarification that Boulger was not the woman giving the salute and eventually deleted the tweet on March 22, 2016. Nonetheless, Boulger alleged that during the period from March 12 – March 22, 2016, while Woods’s tweet remained posted on his account, she received hundreds of obscene and threatening messages, including death threats, and anonymous phone calls at her home from callers who up when she answered the phone. 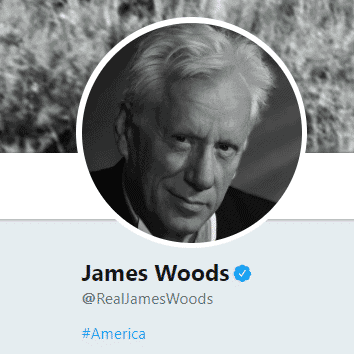 Indeed, the decision turned entirely on Woods’s use of punctuation at the end of his statement – namely whether a question could be construed as a false statement of fact sufficient to assert claims for defamation and invasion of privacy. The court noted that if the question mark were deleted, “the reader is left with an unambiguous [false] statement of fact.” However, in light of the question mark, the court noted that the overwhelming majority of courts to consider questions as defamatory statements have found them not to be assertions of fact because a question tends to indicate a defendant’s “lack of definitive knowledge about the issue” and “invites the reader to consider” various possibilities. The court also relied on Ohio’s “innocent construction rule” with regard to defamation, i.e. that if allegedly defamatory words are susceptible of two meanings, one defamatory and one innocent, the defamatory meaning should be rejected, and the innocent meaning adopted. As Boulger was thus unable to show that a false statement of fact had been made about her (a prerequisite to both her defamation and false light invasion of privacy claims), the Court granted Woods’s motion for judgment on the pleadings and terminated the case. This decision reflects an interesting development refining the law surrounding statements made on social media. The case is Boulger v. Woods, Case No. 2:17-cv-186 (S.D. Ohio, January 24, 2018).